Welcome to Queen City Screen Printers. We are your one stop shop for screen printing and designing in Charlotte, NC. From logo design to custom t-shirts we can print nearly anything. We have been in the business for over 5 years and are constantly growing. We have increased all of our production capabilities and can provide screen printing services, t-shirt printing, and logo design in the Charlotte, NC area to anyone interested. 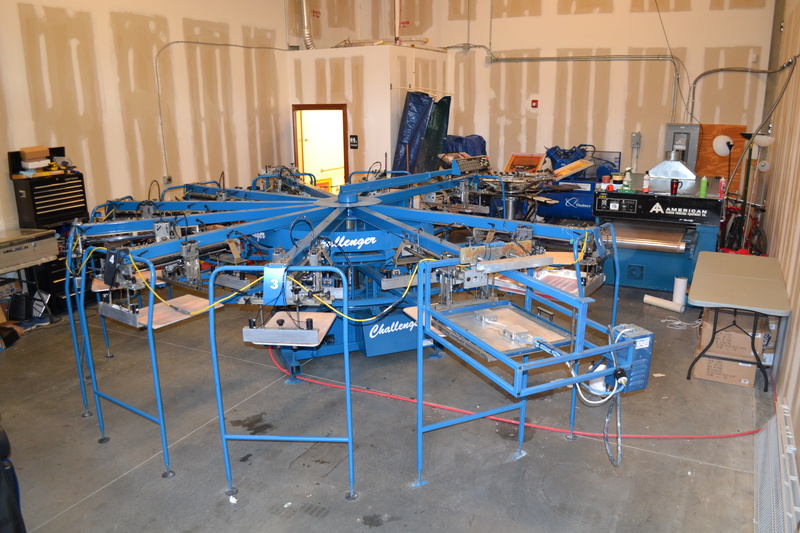 With our new 10 Color – 12 Station M&R Challenger, we can print as many as 400 shirts an hour. We have a warehouse and showroom conveniently located here in Charlotte, NC and you are more than welcome to visit us! Here at Queen City Screen Printing, we focus on providing the highest quality of prints at the most competitive prices. We strive to offer the quickest turnaround time and we will even design for you! Feel free to contact us with any questions. If you want to see our pricing and FAQ please click here. We are a full service screen printer based out of Charlotte, NC. We only use the top of the line equipment and supplies to make sure your shirts come out perfect. Not only are our prices extremely competitive, but we are also willing to price match. Come on by and give us a shot.